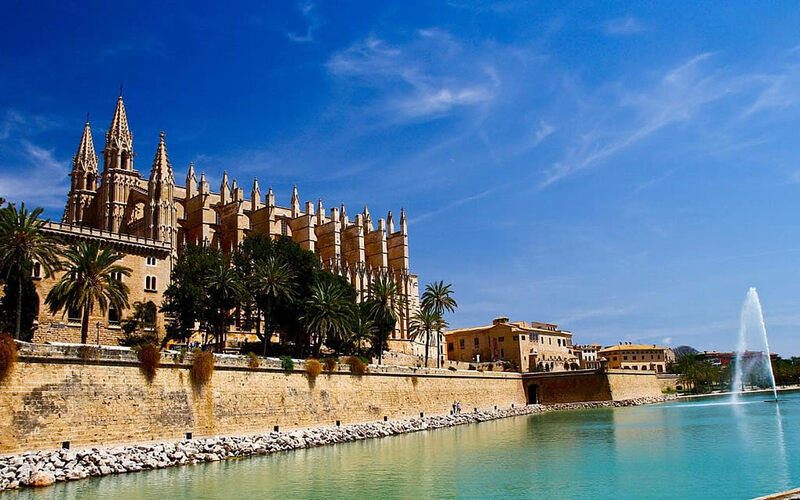 Palma is the largest city in the island of Mallorca and the capital of the Spanish archipielago of the Balearic Islands. The population of the Palma municipality is approximately 400,000. 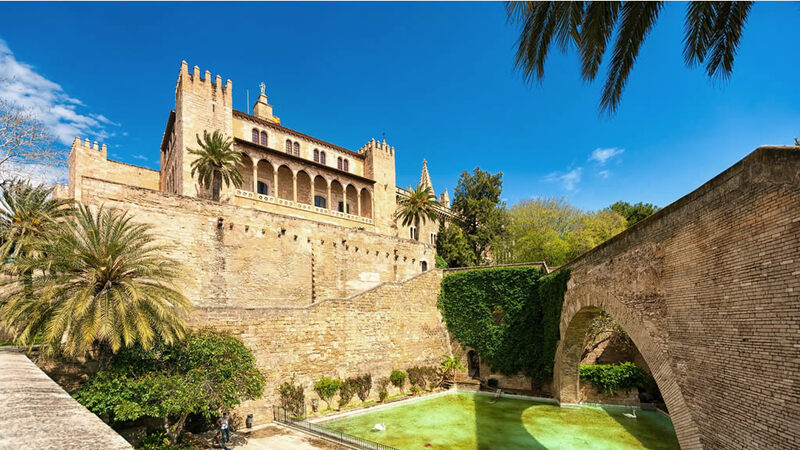 The name Palma dates back to the Roman settlement on the site of the present city, although the area was originally settled during the Bronze Age. 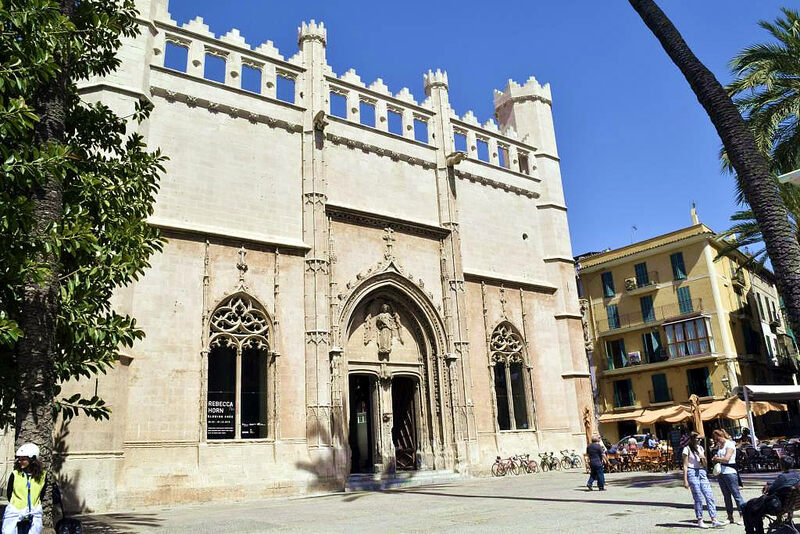 Today, Palma is a busy commercial and cultural center and one of Europe's major holiday destinations. It's a city of modern, hotel chains, and flashy shops, yet, is dated and still retains much of the old architecture, with the Old Town having narrow streets, and showing the restored cathedral standing proud in the center of town. A jewel of Gothic architecture overlooking the sea. Construction of this building began during the reign of Jaime II. Highlights on the façade include the main door and the south door or Mirador, especially interesting for its decoration, featuring sculptures by Guillermo Sagrera. The Mirador door is spectacularly beautiful on account of its carvings of geometrical and plant motifs, while the main doorway is supported by four majestic columns. The reforms carried out by the architect Antonio Gaudí in the early 20th century are another of the attractions of this building. Ancient bath house from the time the Moors were in charge. 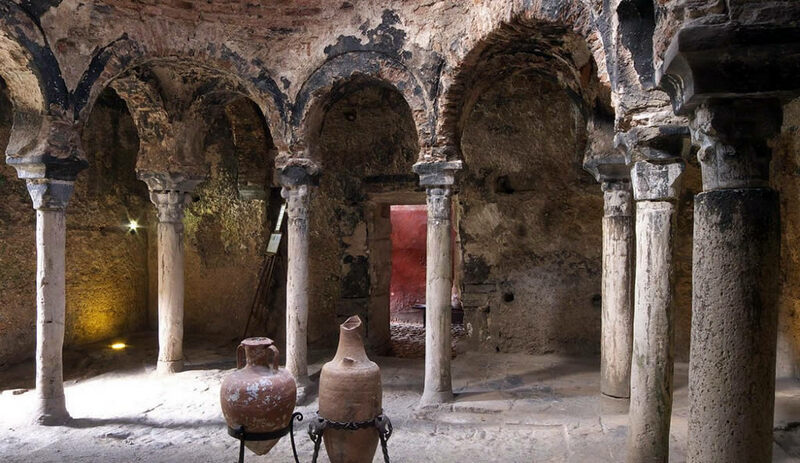 These 10th-century baths are virtually all that remain of the Arab city of Medina Mayurqa. They were built based on antique elements and by recycling capitals from previous periods (Muslim, Byzantine and Roman capitals). The Arab Baths are perfectly integrated in the gardens of the former orchard of the manor house Can Fontirroig. A citadel outside the city walls. La Almudaina Palace was the seat of the kings of Mallorca. The castle visible today is the result of modifications to the Muslim fortress constructed from 1281. The building comprises a rectangular tower, home to the King's Palace, Queen's Palace, a hall known as Tinell, the Royal Chapel and courtyards. Inside, special mention should be made of a range of tapestries and furniture from different periods of history. The royal residence of King Jaime II. The castle is located on the crest of a hill and is in the Gothic style. Bellver Castle has had various different uses over the course of its history. King Jaime II ordered its construction as a royal residence. In the 19th century it was converted into a mint. 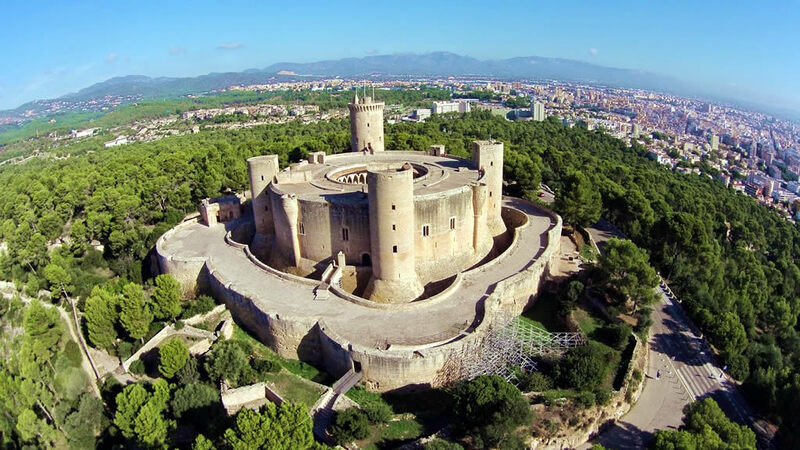 Its circular structure is unusual, and it has three towers and a keep divided into four sections. One of the most beautiful civil buildings on the whole of the island. It was built in 1426 by Guillem Sagrera. The base of the building is rectangular. Its interior is made up of a single roof with an ogives dome supported by helicoidal columns. It is separated by a garden of the Consulado del Mar, a beautiful Renaissance building, now headquarters of the Regional Government. There are more than 200 beaches around Mallorca’s beautiful coastline. Over 40 of these are designated as ‘Blue Flag’, which assures not just the water quality but the provision of bathroom facilities, lifeguards and other services. The closest beach to Palma is Can Pere Antoni. This small stretch of golden sandy beach starts just beyond the cathedral. This Blue Flag beach is very convenient if you are staying in Palma and you are looking for a quick beach stop. The views of Palma Cathedral from here are stunning.